After looking through some of my notes over the past few years, I began to rediscover several methods that I was taught by my teachers to help take my pratice to the next level. I thought I would share some in a non-specific format, though I will mention that some of these will rely on developing a home practice or at least practicing specific poses or techniques on your own time at home. Others however, you can incorporate into your studio practice. The first tip that I would like to mention, that I found very helpful was from a beginners class taught by an Anusara instructor. The whole format of the class was around learning the proper way to do the poses incorporating correct alignment and muscle energy with little to no importance on flow. We took the time to experiment with the pose and to make minor adjustments until we reached a satisfactory expression of the asana. I still use this tip now. I’m always thinking of one of my first teachers when I’m trying to find that sweet spot in a pose. She encouraged us to take the time in a pose, build the foundation, experiment a little, Find what we like, then check our alignment, and from there, come into the full expression of the pose. When you find your expression of a specific asana, ensure your alignment and form is good enough to serve as a foundation to build upon. 2. Use a Timer while holding poses. My teacher training was completed upon the foundation of yin yoga and yoga therapy, so I’m a firm believer in holding poses for longer than just a couple of breaths. Since the breath varies, the use of a timer can serve as an excellent practice aid in a home practice. You can use a simple kitchen timer or one of many smartphone applications that will suffice. The theory that I subscribe to is that holding poses for longer periods of time promotes the creation of hylauronic acid. HA provides the lubrication between tissues and is also theorized to be the substance of nadis, or energy channels in the body. Another benefit from holding poses for longer periods of time is the cultivation of strength and stamina. Using a timer definitely helps refinemtent in poses in terms of strenght and stamina. I highly reccomend it for a home practice. I’m a firm believer in commiting to the poses that are a struggle. When one of my beloved teachers told me how her practice transformed after she committed to doing King Arthur’s pose once a day, I became a fan at meeting every difficult pose with dilligence. Any of the passive stretch poses that are difficult for you could benefit from a daily visit. And improving upon any pose will open the door for other asana work in your pracitce. There’s also the added benefit of it becoming a more comfortable and pleasureable pose over time. Developing a home practice can be a daunting task. I admit, entire books can be written on this subject alone. It’s definitely a challenge. And if you have children, it may require a blessing to start a home practice. I can’t tell you how many times I’ve been tackled by my 8 year old while in down dog or how many times I’ve been licked in the face by our dachsund while in an inversion. Just having a home practice is a challenge, and if you develop one, there’s no arguing your level of yogi prowess. To really excel, one needs a home practice, (unless you’re at the studio 7 days a week). A home practice allows you to be the teacher and to cater to your own needs. You also have the luxury to experiment with the poses and spend as much time as you need working towards a goal. If you find yourself in a studio drenched in sweat, trying not to hyperventilate and you look over and see someone in side plank with an orgasmic smile, yep, likely a home practice is to credit. In the first private lesson I booked, we worked on backbends. We’re done with warm up and I’m coming into Urdvha Dhanurasana and my teacher says, “Why don’t you come to the top of your head first to reposition your hands?’ my response was “Am I supposed to?” When I first started with asanas, I was corrected all the time, but I was suprised no one ever corrected me on such a deep backbend pose. After working with hand positioning and concentrating on getting the shoulders over the arms, I had my first real heart opening and it changed my practice, my emotions, my daily life and everything. From that point forward, I had a deeper understanding of the open hearted principle and the vulnerability of having an open heart. These are the reasons teachers offer private lessons. Yes, they can be costly, but the amount of foucsed attention on your practice and the amount of knowledge that you can cram in your head in an hour or two is a solid investment in your practice and in yourself. If you can afford a private, I encourage you to forego the spa for one weekend or put off buying another pair of yoga pants and take the plunge into the hands of a seasoned instructor. You will not know what you are missing out on until you do. You’ve seen that guy who’s in childs pose writing in a notebook while eveyrone else in the class is doing Ardha Chandrasana? Yeah, that was probably one of your future teachers. Teachers can never get their hands on enough wisdom, and this is why they are teachers. But you should take note (literally) and bring a notebook yourself. I promise your teacher will not scold you for jotting down a few awesome pointers, it’s a way for you to take what you learn back to your home practice or for review at a later time and an indication to your instrutctor that you’re interested in what’s being taught. Structure your notes in a logical format so that they make sense when you read them the next day and be dilligent in your note taking. I find things often in my notes that I don’t even remember writing, so I highly encourage you to write down any physical or philosophical revelation and revisit it often. I love the refernces to how long we have all been a yogi. And we all love progress. If we didn’t improve upon our practice, there would not be much incentive to keep up the hard work. Track the progress you make throughout your practice. It’s good to see how far you have come and how your hard work has paid off. Set personal goals with your pracitce and keep a yoga journal. 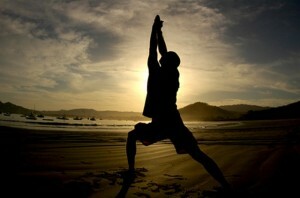 You will find that as you progress in your practice, poses may begin to affect you in different ways. Keep progress on any difficulty you have with a pose or even what kind of emotions you have with specific poses and track it over time. You will begin to see that your body talks to you in many different ways and this will help you find which poses and which teachers speak to you. 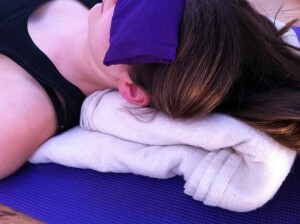 Now that we have some great points of a diligent practice laid out, don’t forget to relax and renew. Give your body the rest it deserves and listen to it with kindness. You may find that you need take several days off to regain your strength or even longer to allow a stubborn injury to heal. Consider incorporating restorative sessions into your practice routine, (just try not to get addicted 🙂 Restorative classes can be extremely awesome. ) Restorative poses have too many benefits to list in a simple blog posting, just know they are numerous and range from benefits of opening to promoting healing. Since 90% of the work of a restorative pose is getting setup with the right props in the right positions, it’s easy to incorporate as a home practice. Also, sleep. Probably the most important piece you can take from this article. If you’re not getting the right amount of good quality sleep, your practice will be the first indication. Don’t lock yourself into one studio or one teacher. I would even recommend that you try different styles of yoga or even activitites that could enhance your yoga experiences. When you practice at one studio or with one kula for a long time, you begin to unknowingly develop boundaries in your practice. Attend workshops, try different classes or different teachers. Most studios have a whole staff of teachers and you can even attend classes from different teachers at your own studio. 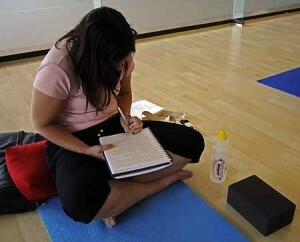 Find out what other yoga avenues your peers seek or what workshops they are looking forward to. This is how you expand your knowledge and cultivate a progressive practice. Even if you can only commit to one workshop a year, or one off-class a month, go for it. It will be rewarding. To many of you, these points are obvious knowledge, but hopefully if you’re curious about what you need to do to take your practice to the next level, one of these will help. I know every one of these points has change my practice in one way or another and I’ve very grateful for the teachers who have helped me along the way. Fantastic information! Thank you for sharing! I really need to incorporate early morning classes back into my life. Fresh in the morning, I havent had time to let the weight of the world get to me yet.